My husband and I have had pet rabbits for many years now and we enjoy naming their adorable poses. When we spot a cute rabbit pose we call it out so everyone can enjoy the sight. Coming very soon I will be sending out a newsletter with tips on how to understand animals better. This post is a fun way of illustrating the most important element of Animal Communication: Enjoying animals. Appreciating them. Being thrilled to have them in your life. Giving an Ear- can be added to most poses. In this case another Superman. Left: Muffin and Right: Loaf (with an ear) These two poses are very similar, but the muffin is more round. 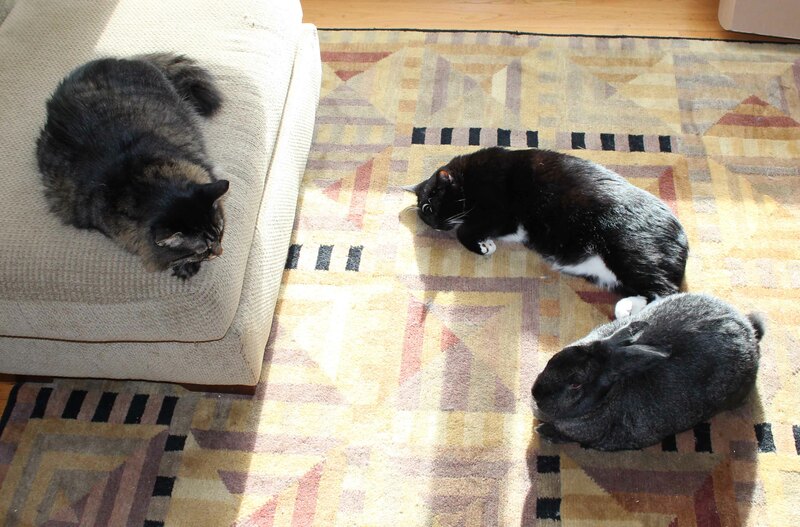 Triangulation (requires both cats to execute), in this case also a Muffin. As always, enjoy your animals! So adorable. 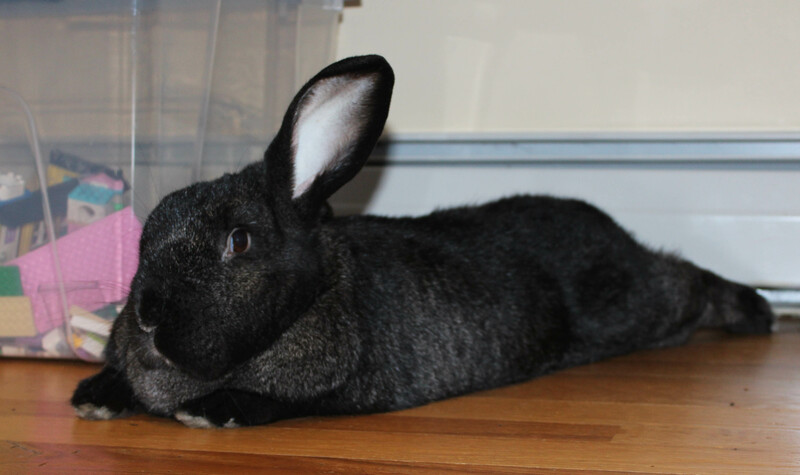 We have a Flemish Giant at the Shelter named ET who often does superman’s. What shelter is he at? He is at the MSPCA in Boston. He is a wonderful big boy! Love him and hope he finds a forever home soon. He looks so much like my rabbit! Cute. Yes, I thought so too! Do you know if Flemish Giants like to be part of a bonded pair? Probably rabbit specific but a staff member at the shelter asked me. No, it just seems to be personality. Sooo cute! Great names for the “poses”! Beautiful rabbits!